Simon is a partner in, and heads up, the Corporate team. 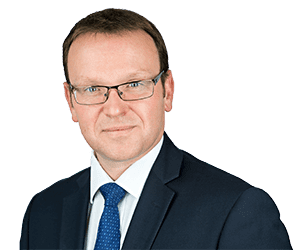 As well as providing general company law advice to businesses and their stakeholders, he also specialises in a wide range of transactional matters, including mergers and acquisitions, buyouts and private equity fund raisings. His expertise includes working with publicly listed companies, private equity funders, SME’s, owner managed businesses and business entrepreneurs. Simon joined Clarke Willmott in 2003 from International “top ten” law firm Jones Day, having previously trained with a large national practice. He is ranked in both the Legal 500 and Chambers legal directories for corporate lawyers in the South West..
Acting for an international recruitment business on their set up, initial funding rounds, acquisitions and significant investment from an overseas investor. Working on the private equity funding structure financing the acquisition of a portfolio of Motorway Service Areas for an overall consideration of in excess of £200m. Acting for Goonvean Holdings Limited, the owner of the last independent Cornish clay mining business, on its sale to the world’s largest industrial minerals group, Imerys SA, as well as acting for Goonvean on a series of acquisitions to build a diverse multi-industry group. Acting for the founders of engineering business Anstee and Ware in their sale of the group to Parsons Peebles. Acting for private equity fund Altitude Partners on its funding of the MBO of James Tobias Limited, its investment in Moortec Semi-Conductors Limited and other portfolio matters.